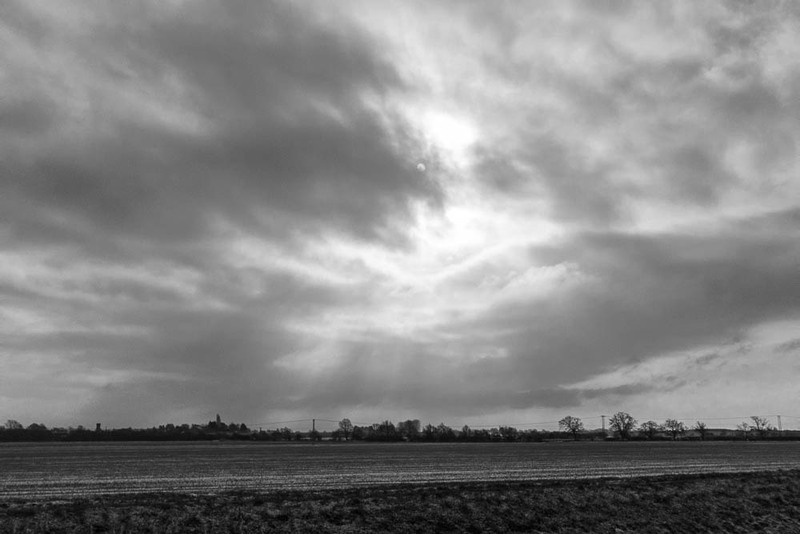 Repeat postings of photographs of Great and Little North Fens, Cottenham, on this blog can be explained in part by the fact that I walk there fairly often. But that’s not the only thing. 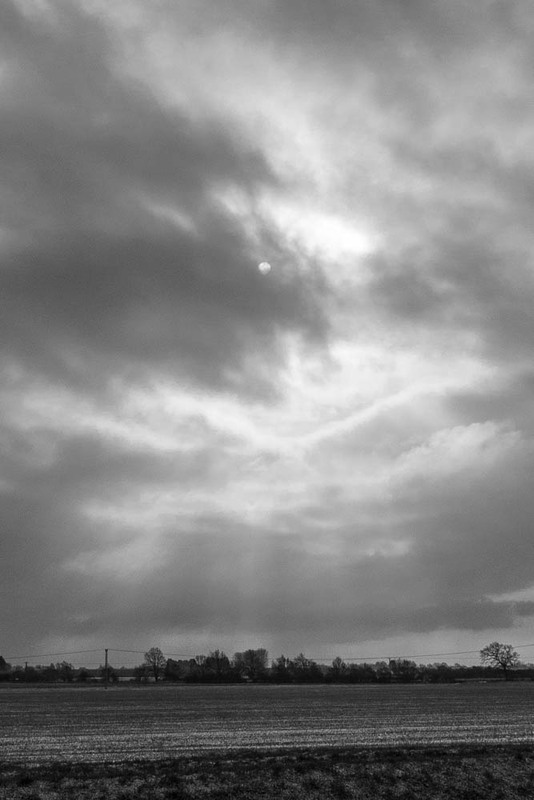 I’m fascinated by the fen landscape in general, its feeling of space, its graphic qualities and its sense of being on loan until the waters return. In the North Fens the space is given emphasis by the flat, empty fields. There are few vertical features so the eye is drawn outwards and upwards, it is skyscape and cloudscape as much as landscape.